Apparently, today’s shooters like the sounds of silence. Americans are buying and licensing more suppressors and other NFA (National Firearms Act) items than ever before. The number of NFA applications filed with the NFA Branch at ATF continues to rise. With a greatly increased staff of 25 Legal Instrument Examiners, the backlog of NFA forms has been whittled down from more than 80,000 to about 36,000. Much of the intense increase in interest in NFA items is focused on silencers. According to ATF’s 2011 Commerce in Firearms Report, as of December 2010 there were 284,087 lawfully registered silencers in the United States. As of March 2014, there were 571,750. That’s means the number of registered suppressor more than doubled in three and a quarter years. And 2015 will probably be a record year for suppressor sales. Hiram Percy Maxim, the son of Hiram Stevens Maxim (inventor of the Maxim machine gun) created the first firearm sound suppressors. 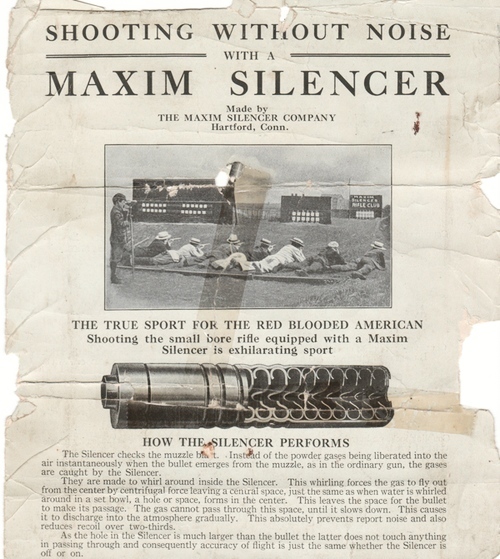 An early advertisement for his Maxim Silencer Company explained that the hot propellant gases from discharging the firearm “are made to whirl around inside the Silencer,” and cannot leave the silencer until they have slowed down enough to not produce a loud noise. Initially, silencers were inexpensive and easy to obtain. Before the adoption of the National Firearms Act in 1934, Mr. Maxim sold a variety of silencer designs priced from $5.00 to $9.50. These were shipped in the U.S. Mail, without restrictions. Things are much different today — to own a suppressor, one must obtain federal approval and pay a special tax. To learn more about suppressors, read Silencer Terms and Tech in the CTD Shooter’s Log. 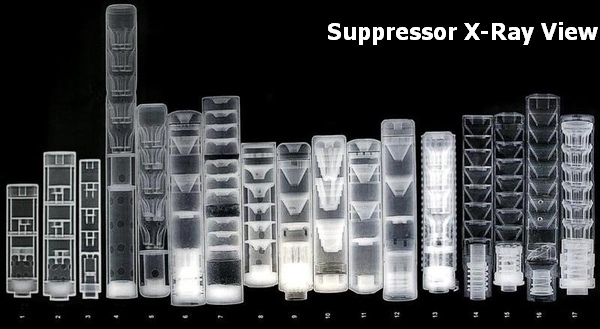 Share the post "Major Increase in Sales of Suppressors and other NFA Items"